The Shipping Association of Guyana (SAG) on Wednesday moved to the High Court to quash a decision by City Hall’s administration to charge GYD$25,000 for the movement of laden shipping containers to and from wharves. In the name of its Secretary, Ian D’Anjou, SAG also wants the High Court to find that efforts to charge a container tax on shipping containers on city streets in unlawful because the Municipal and Municipal and District Councils Act, Cap. 28:01 and bylaws do not provide for the imposition of such a tax. 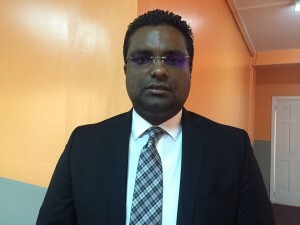 Through Attorneys-at-Law Sase Gunraj and Christopher Ram, the SAG official said is seek an Order or Rule Nisi of Certiorari, Writ of Certiorari directed to Town Clerk Royston King, quashing his decision “to impose a fee of $25,000 per container on the owners of cargo contained in shipping containers removed from wharves and traversing and/or parked on streets within the City of Georgetown” on the grounds that the decision is biased, without jurisdiction, made in bad faith, is unreasonable, arbitrary, capricious, mala fide, malicious, vindictive, unlawful, ultravires, null, void and of no legal effect . They also want an Order or Rule Nisi of Certiorari and Writ of Certioriari directed to Mr. King to quash his made on or about 19th day of July, 2016, “to block and/or to impede access of motor vehicles transporting shipping containers on streets within the City of Georgetown unless a fee of $25000 per container is paid. The SAG further wants the High Court to issue an Order or Rule Nisi of Prohibition directed to the Town Clerk his agents and/or servants, public officers, restraining them from imposing a fee of GYD$25,000 per container on the owners of cargo contained in shipping containers removed from wharves and traversing and/or parked on streets within the City of Georgetown on the grounds that to do so, would be contrary to and in violation of Municipal and District Councils Act, Cap. 28:01 and bylaws. “Upon the directions of the said Ms. Sherry Jerrick, several persons, some of whom were dressed in City Constabulary uniform and some in civilian clothing, erected barricades across Robb Street, preventing vehicles from crossing and/or turning into Water Street. Thereafter, a person under the direction of the said Ms. Sherry Jerrick, drove a motor car and blocked the barricades aforesaid, further preventing movement of other vehicles,” he said. At about 4:30pm, he said Ms. Sherry Jerrick then instructed the persons under her direction to remove the barricades and motor vehicles that were blocking the road. Thereafter, the motor vehicles transporting the said shipping containers were allowed to cross and/or turn into Water Street. D’Anjou said that during the period within which the barricades were in place, at least 25 (twenty-five) containers were prevented from traversing the area. 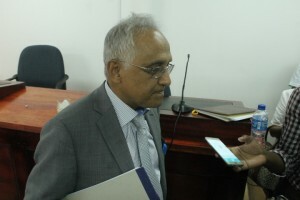 The SAG Secretary said he was informed by Mr. Robin Muneshwar, a Director of Muneshwar’s Ltd of a similar incident outside Munershwers on the same day when he was in his office in Muneshwar’s Building when he observed barricades being erected by unknown persons at Water and Church Streets, north and east of the roundabout. Muneshwer reportedly said that on enquiring from Jerrick about the imposition of the charge she advised him to go to the Town Hall to meet with the Town Clerk to peruse the law. Mr. sought an explanation about the specific section of the Act and she wrote on a piece of paper which she gave to Mr. Hanoman the following Municipal and District Councils Act, Chapter 28:01 (Roads and Traffic Control) Sec. 273 – 276 Regulation of Use of Road for specific weight vehicles. The SAG Secretary, however, said his lawyers advised that those sections of the law “do not provide for the imposition of any fee or tax in relation to the traversing and/or parking of motor vehicles laden with shipping containers on roads within the City of Georgetown. In relation to attempts by City Constabulary and other City Hall officials to charge Crown Mining GYD$25,000 each for two containers with imported goods that no section of the Municipal and District Councils Act provides for the imposition of any fee or tax in relation to the traversing and/or parking of motor vehicles laden with shipping containers on roads within the City of Georgetown.